The Tormondsen Family Race Course is a five-kilometer trail that has been certified for competition at the highest level by skiing’s governing body, the Fédération Internationale de Ski (FIS), and is covered by 5km of snowmaking.This course makes Rikert one of just a handful of ski areas in the country that feature such trails. The new course, designed by legendary trail developer John Morton, allows Rikert to host major competitions, including Nordic events such as the NCAA Skiing Championships. Rikert is home to the Middlebury College Nordic Ski Team. 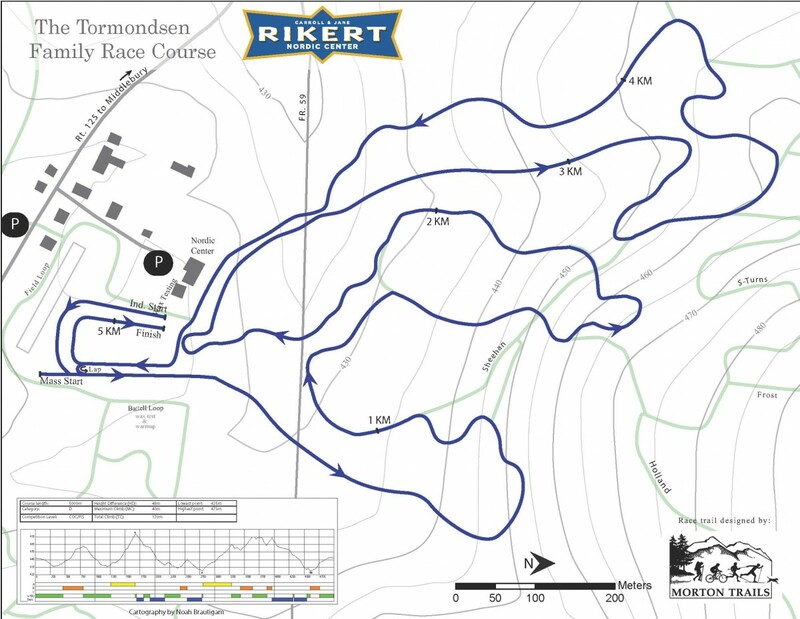 Click here for a printable Rikert Tormondsen Family Race Course map.